The widely popular free roam style game Grand Theft Auto V will finally deliver its promise of bringing heists to its online mode. Rockstar has just recently confirmed this, while also giving extra information on their newest patch for the game. When you first get into heists, you will be given the choice to play with crew members or just random players. Heists will also bring larger payouts, making the game a tad easier to acquire all of your most luxurious items. There was not many hints on how heists will work. If you remember how they worked in single player, then you know the options you choose effect the amount of time or success of the mission. Choosing a high quality team will land you more time to get the cash, but in the end, you get a smaller percentage. Rockstar says "much more information" about heists will be let out soon, but they did say to expect heists sometime in spring. This could be anywhere from 1 week to 2 months. However, there is no "Official" release date slated yet, so this could be subject to change. Rockstar also informed the community about the new and upcoming Capture Creator that goes live on GTA next week. This awesome creation tool allows you to create your own capture jobs, then upload them to the social club for others to play. You can change where the weapons spawn, and how you want the overall game to play out. Rockstar will also be picking the best of the creations to be in the "Rockstar Verified" section. Getting your creation landed in the verified section gets you an exclusive rockstar tee-shirt for your in-game character, and some extra cash in your pocket. So get the ideas flowing so you will be prepared as soon as the creator hits online. Along with all this great news, comes even more. A new "High Life Update" is also slated to release this spring, bringing three new "High-End" apartment options. Along with this, you also get access to new wardrobe items, a Bullpup Rifle, Dinka Thrust motorcycle, and three more cars. With the High Life update, you now have the ability to own more then one property at the same time. Owning multiple properties also means owning more garages. So go ahead, fill it with min-vans, you have all the space you need. Now with these new High End apartment options, users are a little shaken up. This could mean a way to furnish your home with decorations, furniture, pictures, or the layout. Along with the furnishing subject, it could also mean the ability to add on more parts such as a pool or a media room. Another outcome of this high end option could be more apartments available for users to get. These apartments would be higher in price, and have maybe more garage space, and living quarters. Those options however are all speculations though, and information hasn't really been to clear on what it could actually be. Rockstar also said they are planning to release more holiday-themed updates for GTA Online and GTA V. They also plan to launch a DLC for Grand Theft Auto's story mode. Although there have been rumors and speculation on this, there hasn't been any official release of information on what the DLC could contain. Now, if you want to know what Rockstar is adding for their next major update, you can see the patch notes below. "The addition of a 'Non-Contact' option for Races. This will allow you to play standard Races with collisions disabled between player vehicles. Other players will appear as semi-transparent and you'll still be able to collide with non-player traffic, structures and other scenery, but this mode--for those who want to play it--will eliminate the "rubbing is racing" mentality that some wish to avoid. We'll be fixing the issue where players who had upgraded personal vehicles prior to Title Update 1.10 were only able to sell them for $10,000." So, what do you guys think of all this? 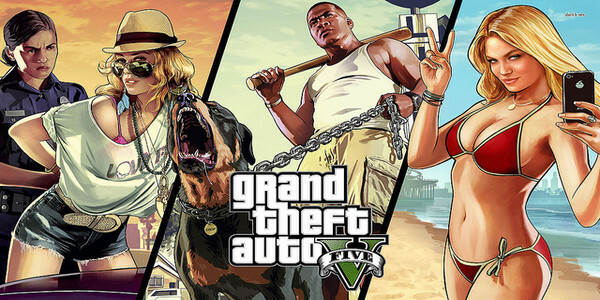 Will it bring you more into GTA V? Let us know!